Most of us are always looking for alternatives to the grid and resources that are inexpensive or free. There are all sorts of gadgets out there mixed in with some really inventive, efficient and renewable products and solutions. Who hasn’t been sitting in a car, windows up, on a winter day and become overheated from the sun pouring in the window. It has always amazed me how much heat is generated from reflection of the sun’s rays alone. There really ought to be a way to harness this incredible free power source to benefit us all…. Yes I know the Solar Industry was born long ago, but until recently the real potential of this resource hasn’t really been touched. Cooking food is something we all do, something we pretty much depend on. And while most just walk over to their stove or range top or maybe even the microwave all of us at one time or another have thought about what if the power goes off, or it’s summer and way too hot to add even more heat to the house so we head to the barbecue but then we are faced with some limited cooking options and the smoke produced by the burning fuel filled with chemicals and what have you. Whether we like it or not grills produce harmful elements into our environment. What’s the solution? The sun of course! For the past several years I’ve been reading, watching and listening to different alternatives for cooking in the event of disaster, hot weather and recreation. 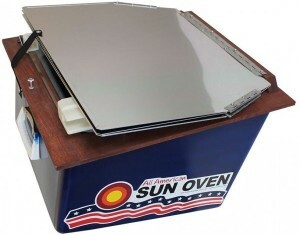 Hearing the raves about solar cooking I’ve been curious so Sunday I am going to the horse’s mouth so to speak as Paul Munsen of Sun Oven will join The Other Side of a Preppers Path to introduce and talk about the virtues of solar cooking. 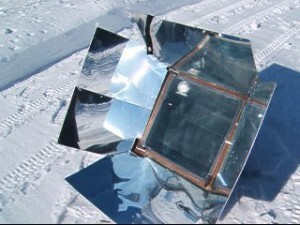 Don’t miss your opportunity to get the real scoop and learn from a man who has years of experience in solar cooking. See you Sunday Feb 16th. Listen to this broadcast on Cooking Without Power! The Sun Oven and more in player below! Previous: Previous post: Shopping Tactics to Psychological Preparedness! Next: Next post: Scrumptious Bugs with Tiny Farms & More!